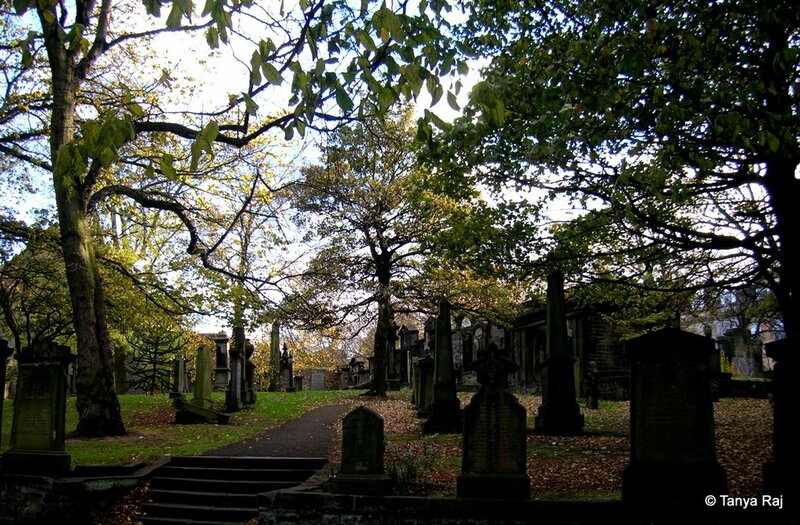 A hedonistic mix of old and new, this city is a soothing amalgamation of beauty and bliss. 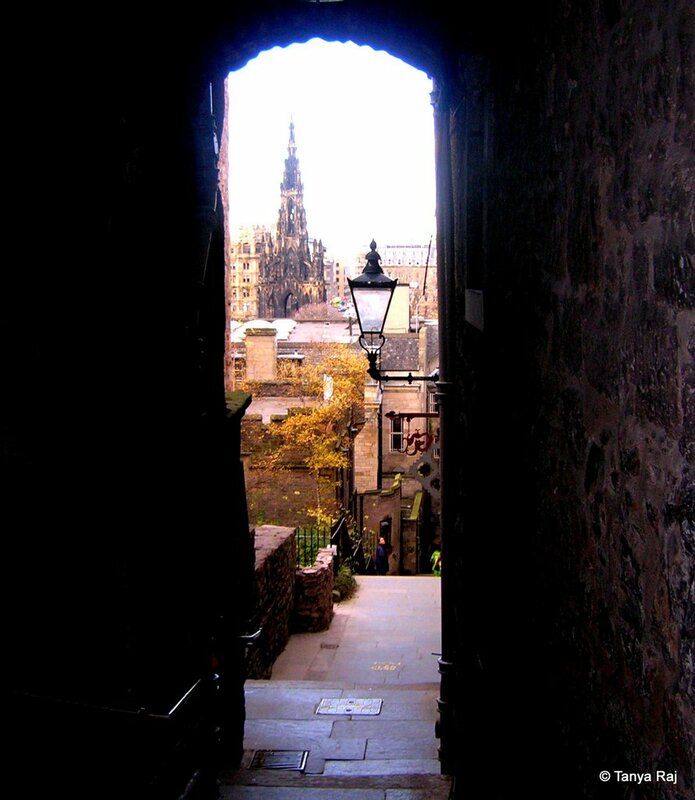 Everywhere that the eyes turn, there is a flurry of history and interesting sounds and smells – from a bagpiper to the classic haggis. 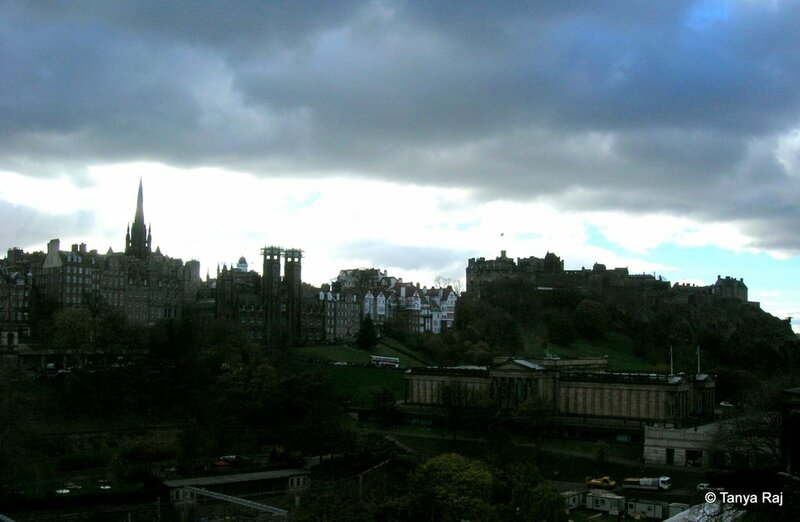 The Old Town and the valley between the Edinburgh Castle and the High Street were one unbridled view from my apartment. 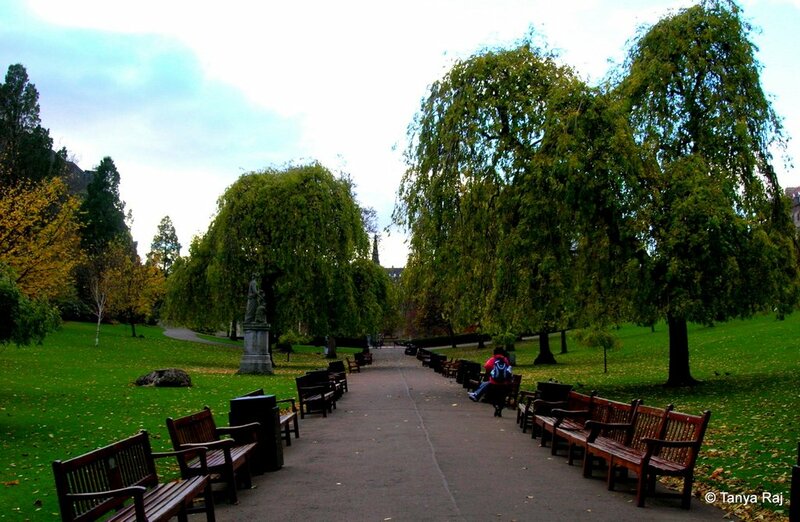 We make our way out to the street in the crisp and chilly November morning of Edinburgh, just as the first rays of the sun hit the autumnal treetops of Princes Street Garden. 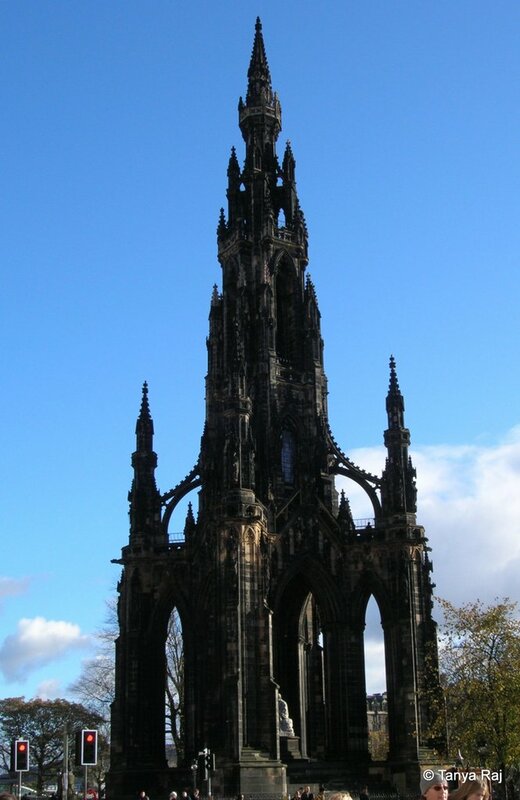 The Scott Monument, dedicated to Scottish author Sir Walter Scott and built in Victorian Gothic style is the largest monument dedicated to a writer anywhere in the world. 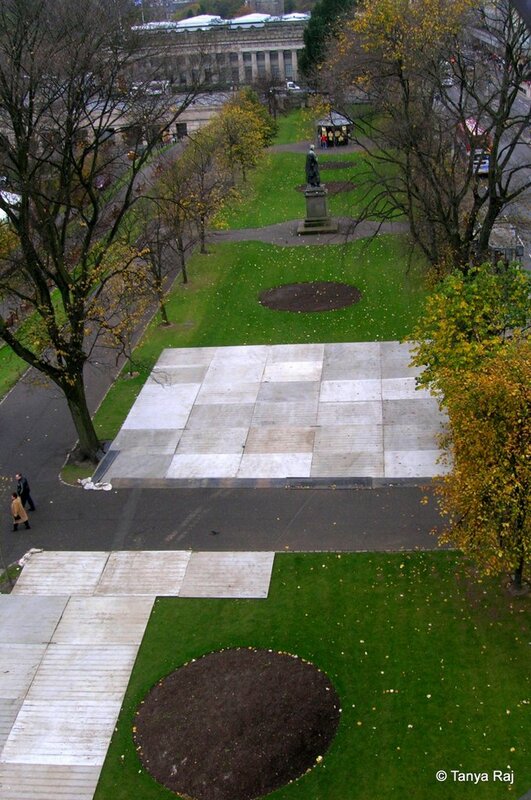 View of Princes Street Garden from the top of the Scott Monument. 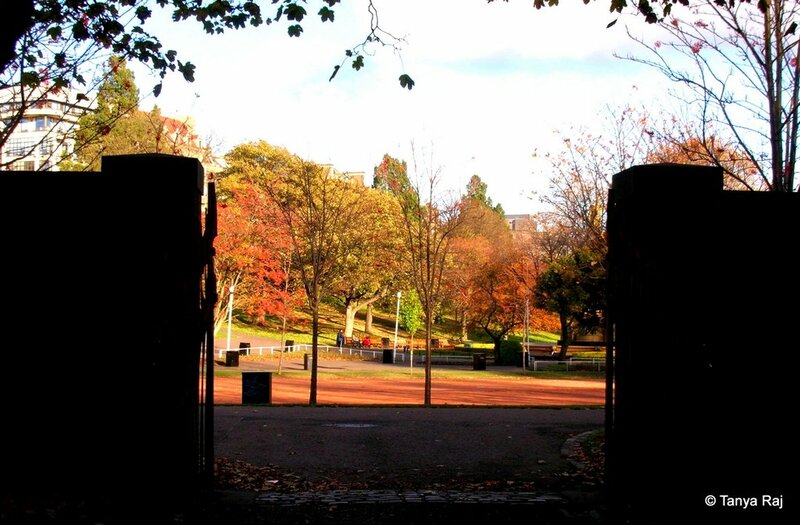 Entrance to the cemetery along Princes Street Garden. Evokes the quote from Jack Kerouac “Nothing behind me, everything ahead of me, as is ever so on the road”. 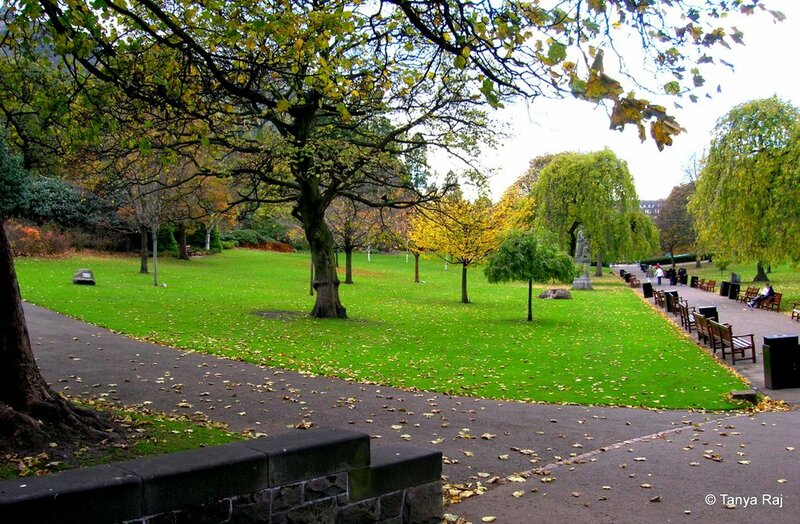 A peaceful glade in the midst of the city. 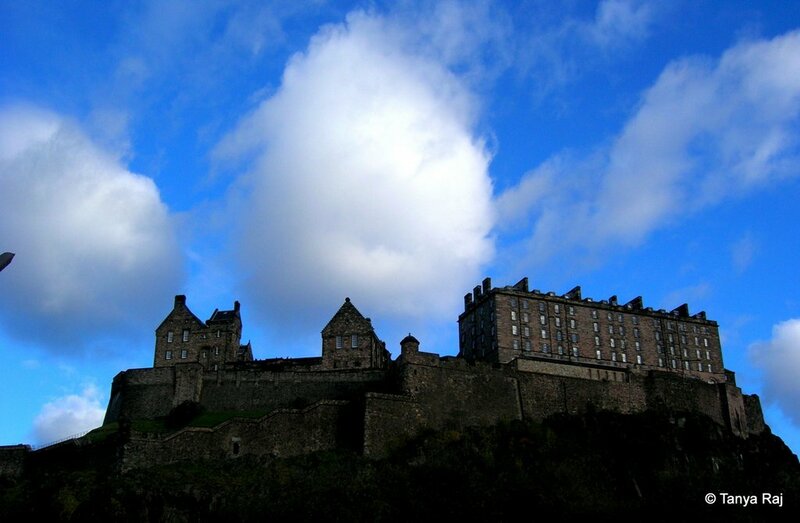 Sitting atop Castle Rock, Edinburgh Castle can be seen from almost every part of the Old Town. 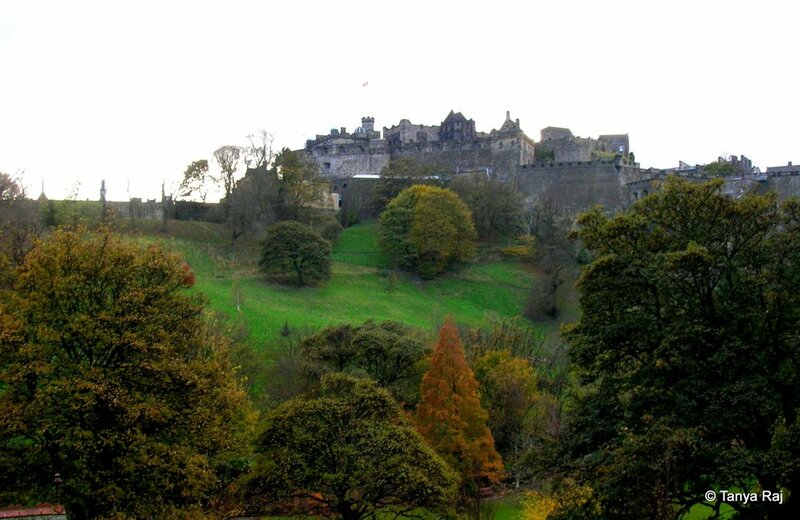 Among archaeologists, the castle is known as “the most besieged place in Great Britain and one of the most attacked in the world”. 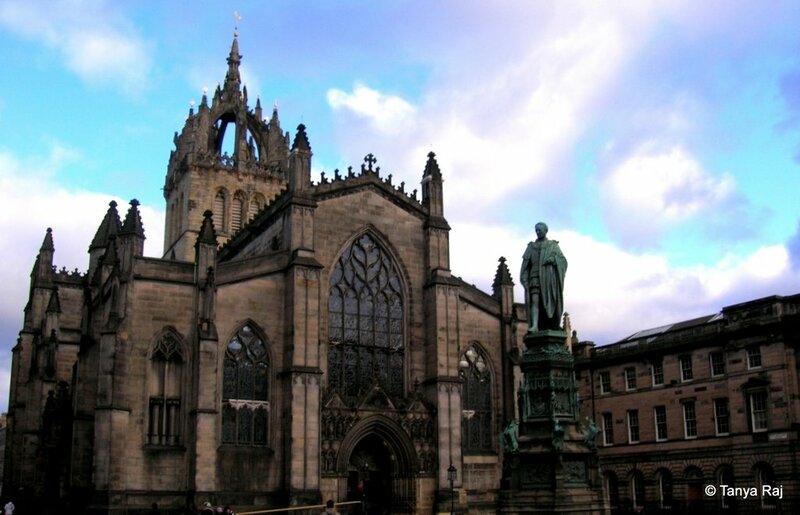 The High Kirk of Edinburgh, also known as the St Giles’ Cathedral. A bagpiper near The High Kirk, making the gloomy day brighter! 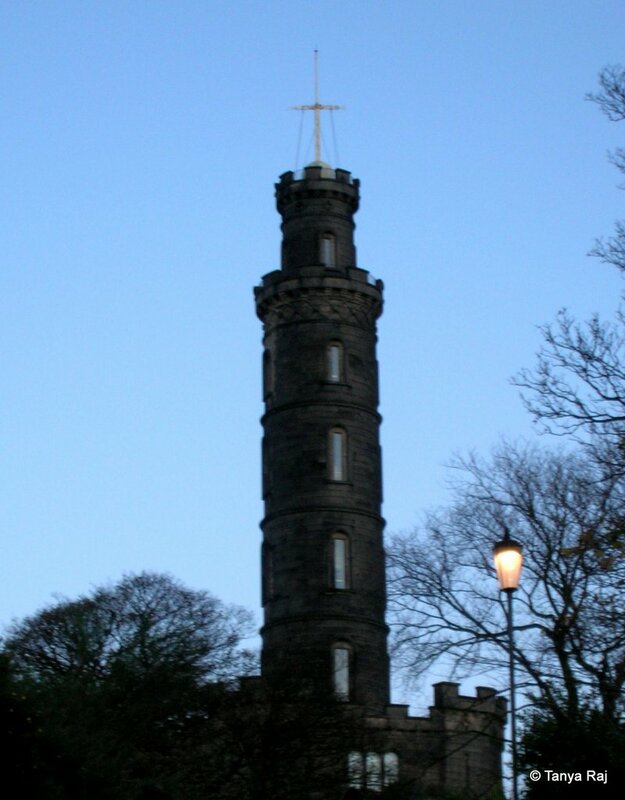 As the sun starts to set, we start our ascent towards Calton Hill, a UNESCO World Heritage site. 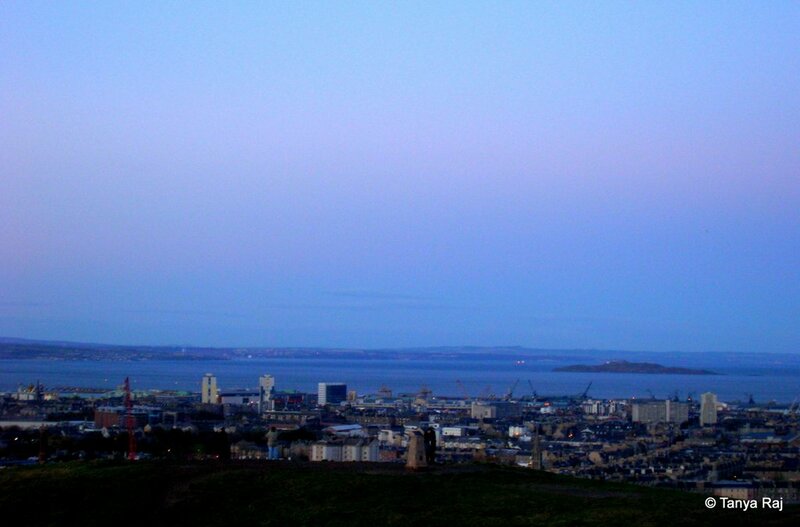 View of the city and the North Sea beyond it from the top of Calton Hill. 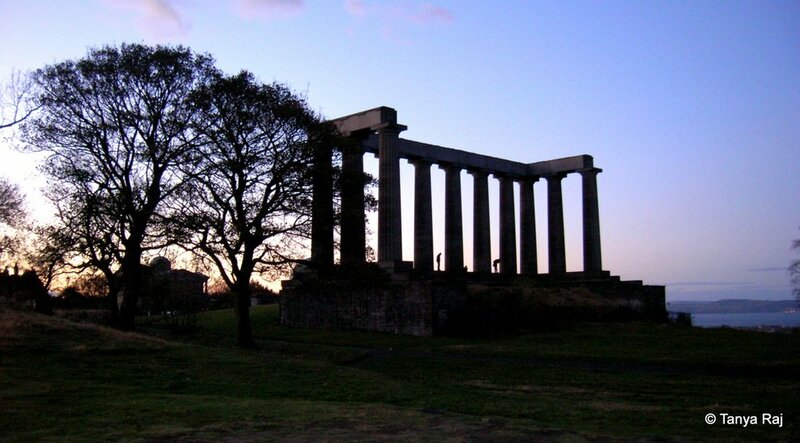 The National Monument of Scotland, inspired from the Pantheon in Athens is a dedication to the martyred of the Napoleonic Wars. 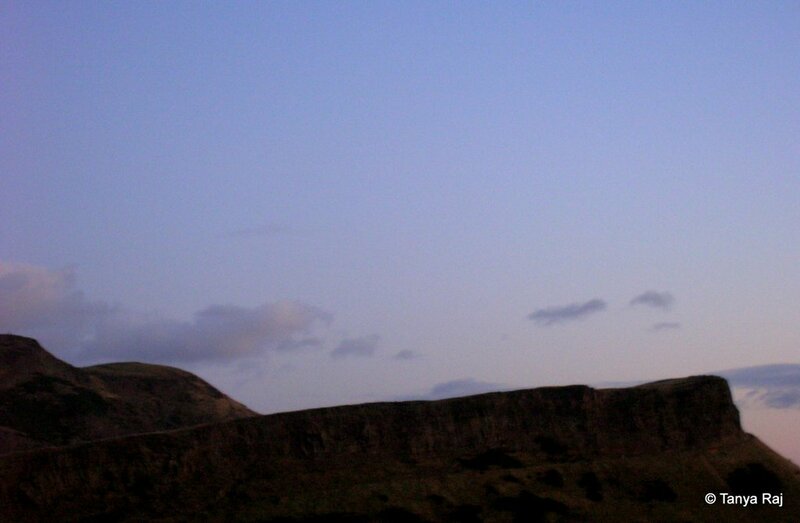 Arthur’s Seat said to be one of the earliest known sites of human habitation in this area. 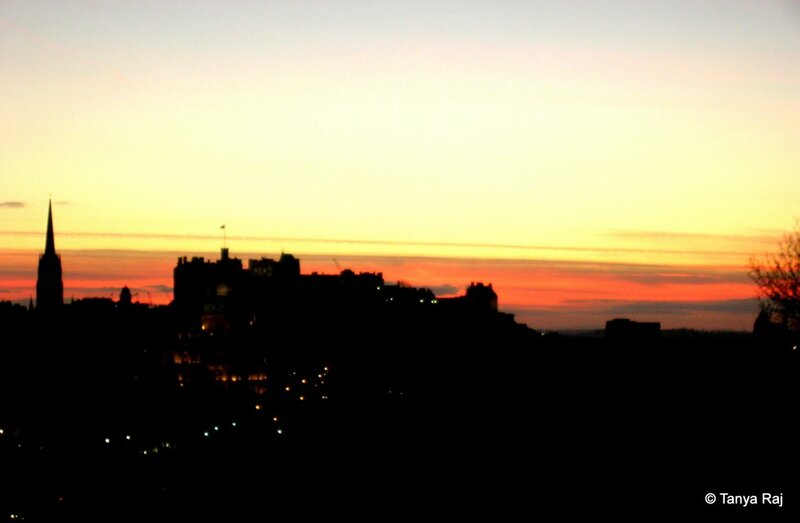 Sunsets in Edinburgh evoke a sense of the Divine running a paintbrush across the skies in fiery colours; they are mesmerising and spellbinding.